DETROIT (Bloomberg) -- BMW's U.S. sales rose 21 percent in October, narrowing the lead of Mercedes-Benz in luxury auto sales this year. Sales for BMW climbed to 26,451 vehicles last month, boosted by a 26 percent gain for its 3 series. Mercedes reported a 5.9 percent increase from a year earlier to 23,978 on Thursday, helped by updated versions of the C class small sedan. Toyota Motor Corp.'s Lexus rose 9.7 percent to 19,850. The October results trimmed Mercedes' ten-month lead to 2,748 vehicles, from 5,221 at the end of September. The two German automakers are vying to be the No. 1 luxury-auto brand in the United States after BMW outsold Lexus last year. Lexus, hurt in 2011 by vehicle shortages following natural disasters in Asia, had been the top-selling luxury brand in the U.S. for 11 years. Mercedes U.S. sales through October rose 12 percent to 215,596, according to the automaker. 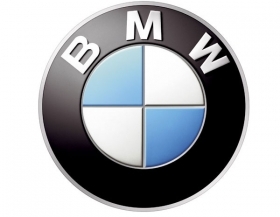 BMW posted a 6.7 percent increase to 212,848. For all of 2011, BMW outsold Mercedes in the U.S. by 2,715 vehicles.